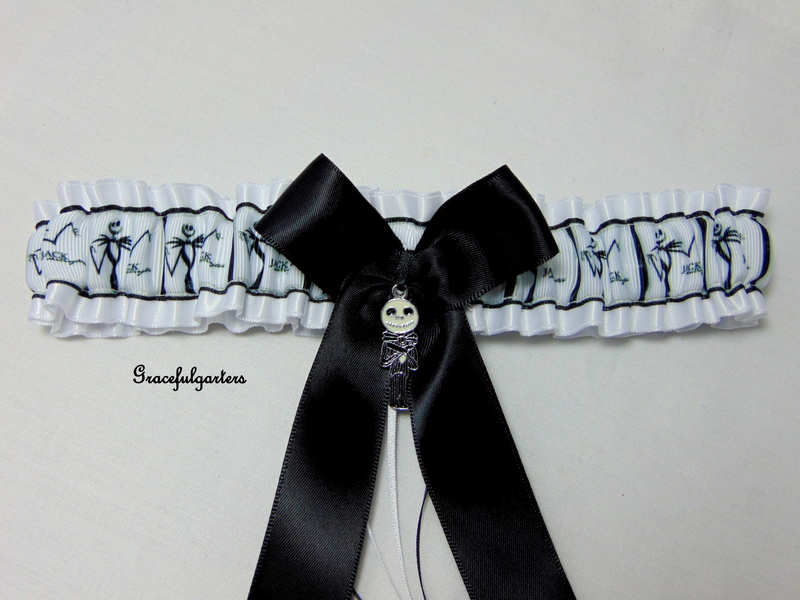 Black grosgrain with white grosgrain and white lace skirt. 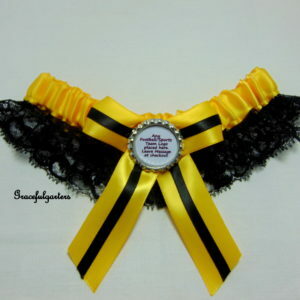 Black grosgrain bow with black and white grosgrain ribbon ties and silver metal quality punisher pendant, Toss garter is Black grosgrain with white grosgrain and black and white grosgrain ribbon ties and silver crown/glass with punisher inside. 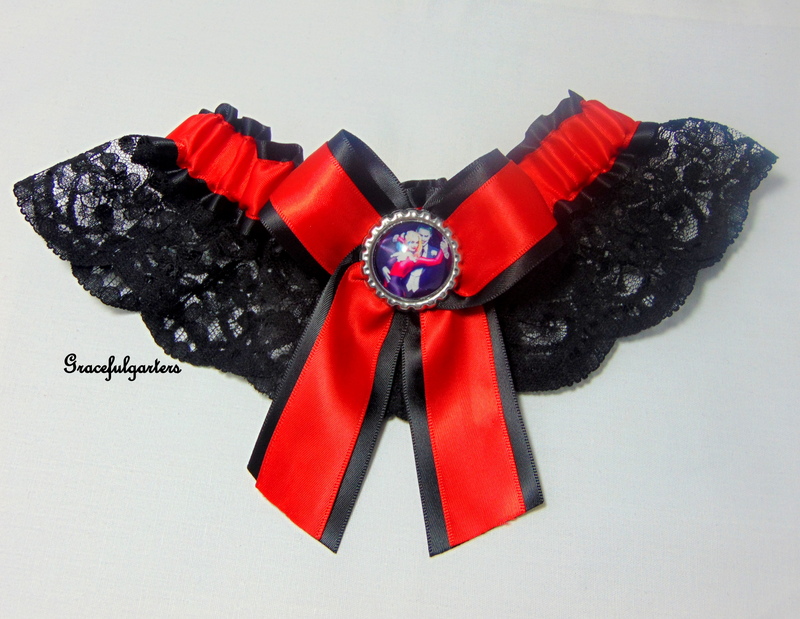 This is an exquisite handmade bridal wedding garter which is Fashioned in Black grosgrain with white grosgrain and white lace skirt. 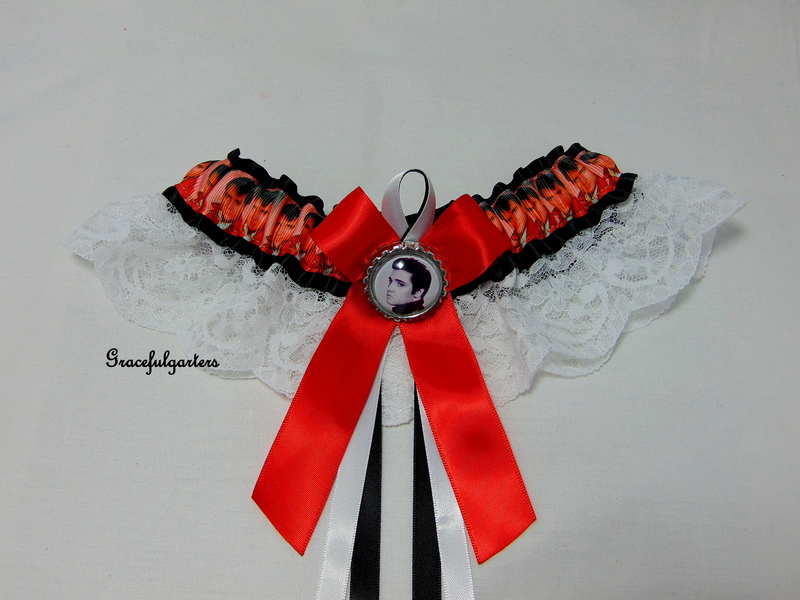 Black grosgrain bow with black and white grosgrain ribbon ties and silver metal quality punisher pendant, Toss garter is Black grosgrain with white grosgrain and black and white grosgrain ribbon ties and silver crown/glass with punisher inside. 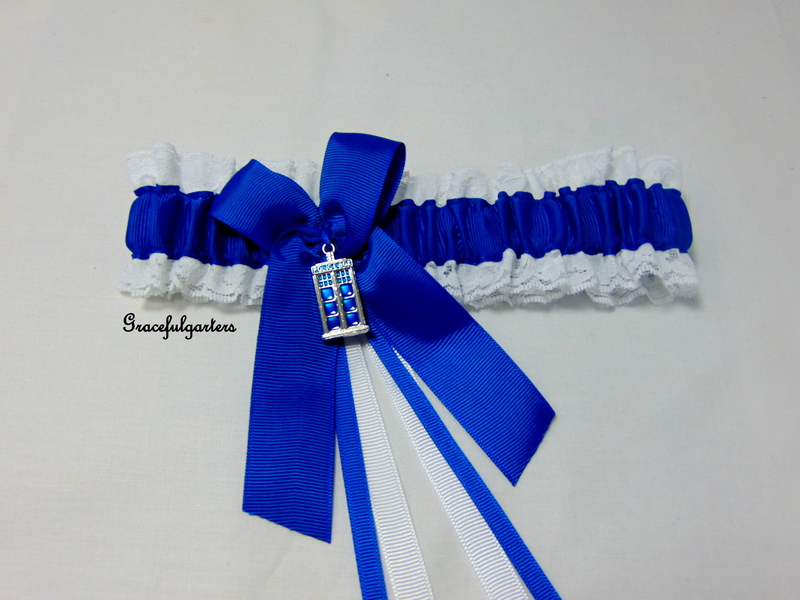 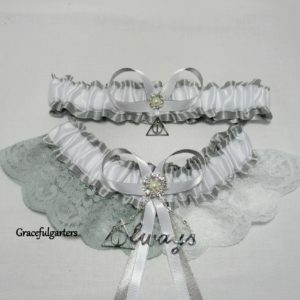 Superb garter set, made beautifully. 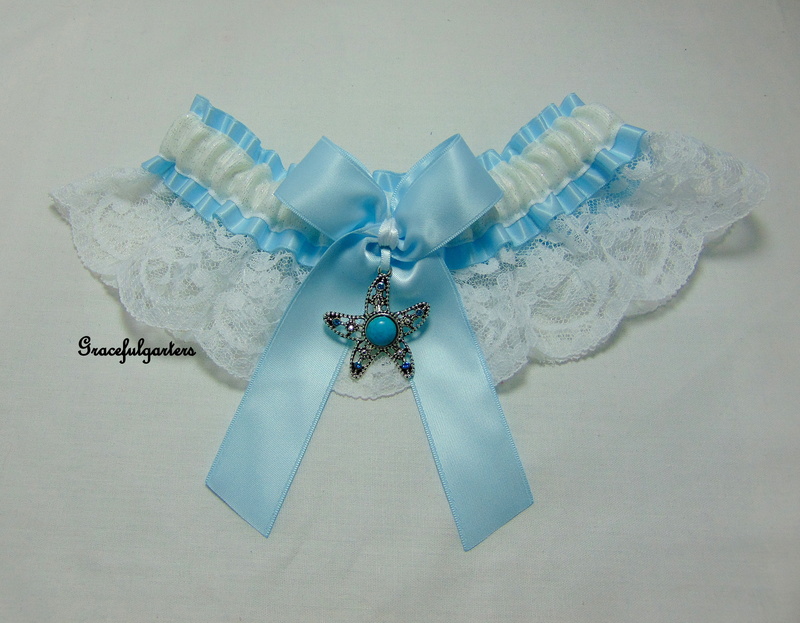 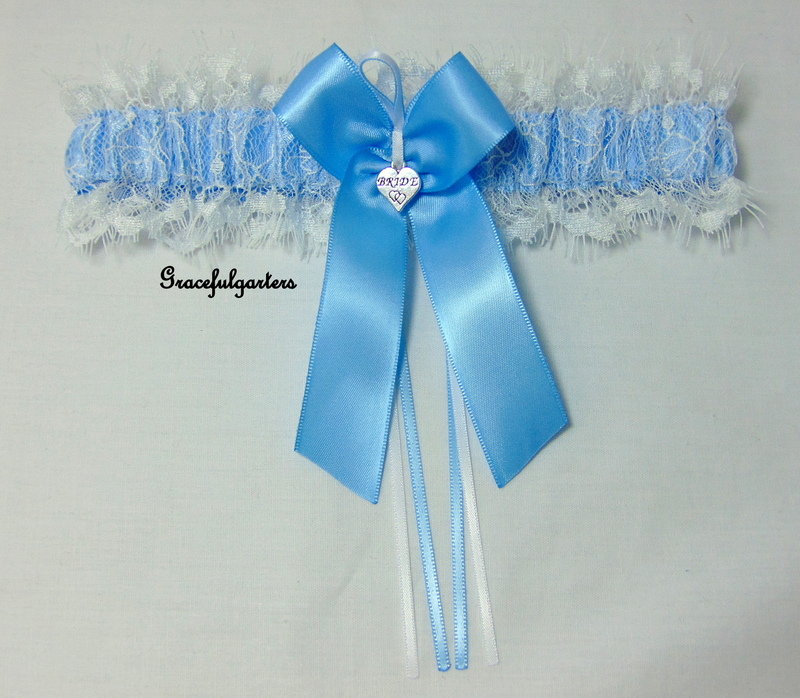 Amazing garter set, high quality, fast delivery and good communication.